One man is offering up his own face to the public in a bid to keep us all out of the prying eyes of Big Brother. Chicago-based artist Leo Selvaggio is fighting the power by giving up his visage – but don’t worry, no costly and painful operations are necessary. 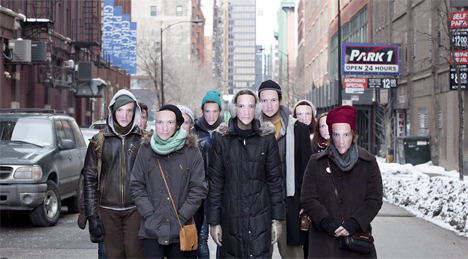 Selvaggio’s anti-surveillance project consists of an eerily realistic rubber mask that you wear over your own face to fool every surveillance camera you may pass. While it might sound like an elaborate plan for the artist to have a million alibis while he commits a crime somewhere, the project is all about privacy. In most cities, citizens’ faces are captured on surveillance equipment dozens if not hundreds of times a day – and we are quite often unaware that we are being watched. 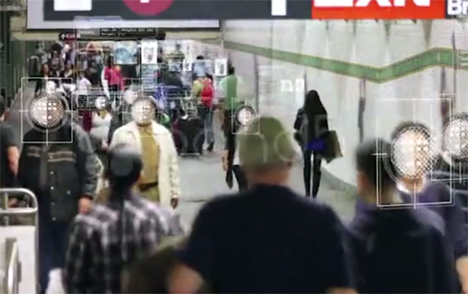 If simply existing in a public space makes you subject to spying, how closely are you being watched and tracked when you assemble in public places? The URME project puts Selvaggio’s face onto your body, and it’s so realistic that it fools facial recognition software easily. In a world where our every movement and activity can easily be tracked without our knowledge, a solution that lets us hide in plain sight may just be the only way to protect our privacy. URME Surveillance has surpassed its funding goal on Indiegogo and will supply the rubber masks (or paper ones if you’re on a budget) at cost, meaning that Selvaggio won’t make any money from the project, which he sees as a public service. See more in Cybernetics or under Technology. May, 2014.